The darker the night, the brighter the stars. Description: A mediocre poet once compared this woman to a pearl, a far more apt description than his talent might suggest. While her skin, at least, is reminiscent of the gem in question, her features are too angular and coloring too dark to lay claim to the similarity, save in one respect: she is the product of a youth in near constant irritation, composed and lovely despite originating inside the familial-equivalent of a mollusc. Her smile is serene and offered rarely; her brows are straight as arrows and prone to lowering in concern more readily than frustration. She moves gracefully and deliberately, rarely startling, and has a habit of tangling her long pale fingers together when she's thinking deeply or fighting strong emotion. Personality: Cara is composed, demure, and unassuming -- though not without a sly wit that peeks out among those she is comfortable with. Her upbringing among the dangerous intrigues of the Lyceum produced a woman who plays her cards close to her vest, speaking generally, though her marriage some few years ago to an Ashford has loosened her up a fraction. She pays careful attention to people and is a good listener, offering thoughtful and well-meant advice when it is sought and a kind word when it is not, especially to those few she considers family or close-friends, to whom she is intensely loyal. Background: Cara was born a daughter of House Rubino, blessed by fortune with good teeth and a steady mind. A quick study, her interest in things intellectual blossomed as she recovered from an unfortunate accident -- a fire, which left her with burn scars on her legs and a lengthy healing period. Quiet -- but not especially shy -- the young lady showed promise in the arts of diplomacy and the study of history, eventually growing into a maiden well-suited to gracing a parlor or fine dining hall and engaging in polite conversation. She married a cousin of House Ashford and left the Lyceum for greener climes, adjusting with relative grace to the very different life, and seemingly through luck finding true happiness with her husband -- until he was tragically discovered among the slain of the king's retinue. How she will adapt to this change in her life, and her position among her new house and her old, remains to be seen. Aislin Former wife and widow of a hated cousin, turned close as a sister, and then eventually a princess of Grayson. One of the handful of people that Aislin would trust with nearly anything, and one of the very few with a name other than 'Ashford' who count as family. Alexis Princess Cara Grayson, Voice of Grayson. I'm sure she's very nice and all. But she was in labour when we met, so that sort of... Overshadows everything else. Calarian A true match for my cousin, I think. Princess Cara is well-mannered and sharply intelligent. I certainly would not want to find myself her enemy; I don't imagine they last very long. Darren Princess Cara Grayson and I have had a .. difficult start, at best. But she has strong opinions and a very large heart, that much is evident from our conversations. I think it will make her an exceptionally good mother, and I wish her all the best. Gisele Gisele's path does not often intersect with nobility and when it does, she tends to keep her eyes down and her mouth closed. But there's a grace to Cara which, on those occasions where they've interacted, has put even her easily frayed nerves to rest and allowed more pleasant conversation than is typical with those higher in life than she. Grace, warmth, light, those things Cara seems to carry, even at her most (heavily pregnant) awkward. Killian Killian's first impression of Cara was that she was absolutely stunningly beautiful, heartbreakingly tragic, and entirely going to wrap him around her finger. Nothing has changed that impression since that day. For a time, he had romantic feelings for her, but they cooled in respect for the obviously deep love between her and Vincere. Since then, life has just always found the pair of them at different places, and though his heart belongs to another and she is married (he prays happily), he shall ever and always love Cara. He has claimed her as his sister, referring to her as his 'Prinsis', and will duel anyone who dares to suggest she is not..especially considering the loss of her own true brother. This is a person whom Killian would die for, and count himself the fortunate to have bargained so well in the deal, smiling as he went to the afterlife. Laric Independent, not a teenager, not miserable over capricious fate. That she's gorgeous, enjoyable to be around and much smarter than me makes our marriage easily one of the best decisions of my life. Mason Mason's known Cara for years, of course, and they're family, but it's something more when you get support and encouragement for a public risk you're taking. Knowing that Cara approves of Mason's stance against auctions and slavery is a valuable gift. Olivia Nice to finally meet the much spoken of cousin (and bonus niece/nephew to-be)! Most of all, she was very helpful for creating an 'in' for the otherwise very large and overwhelming Grayson ball, and helped Olivia meet various other people who were otherwise there to talk to her. Family RP hooks are the absolute best, and I really had a much better time with her there to play off of. Reese The Princess Cara is a very intelligent woman. I am glad that she married Laric and became voice. We need her. I think she looked lovely in her wedding dress with a simple sort of beauty. She shows that all strength comes on the battlefield. 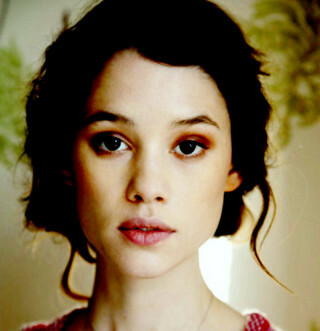 Rook Princess Cara Grayson-nee-Ashford, one of the loyal servants of House Grayson and now a princess of the same. Lord Rook made her acquaintance about the time he became Lord Minister and runs into her from time to time, on matters of office business, usually.